New Zealand dollar deposits and withdrawals are currently suspended due to issues with banking service provision for NZDT. We are working closely with our banking partners and hope to resume NZ dollar deposit and withdrawal services as soon as possible. Finding a solution is a high priority and we will notify our community as soon as there are further developments. Check Out Our New Help Centre! Please note that our news updates are now being posted on our new help centre. You can stay up-to-date on new coin listings, upcoming delistings, exciting new updates and browse our knowledge base here! Please note that all pending coin delistings will be listed here on our help centre moving forward and any user with a balance of that coin will be emailed directly to notify them of this change. We are close to reinstating the LTC Base Market on Cryptopia and wish to advise users of the timeframes and process: 1. The LTC Base Market will be re-opened at midday on Monday 26th March at 12:00pm (midday) NZ time 2. Prior to re-opening, we will be removing all existing open orders from the LTC Base Market. This is due to the current value of most coins not being the same as when the markets were closed, so we are making the re-opening as fair as possible for all users. We wanted to provide you all with an update with what is happening with ETN. The ETN wallets hosted on Cryptopia are unable to cope with the transaction volume that has been generated by the ETN community. The fundamental problem is that the ETN wallet code, which originates from Monero, is not able to handle the large number of transaction records. As an indication we have seen more transactions in the last few months just in our ETN wallets than the entire Monero network worldwide has had in the last year. Given this, our wallets have become so large that they don't currently run continuously and reliably. Restarting the wallets is now in the time frame of days rather than minutes, it'll then run for a short period of time before requiring restarting again. Cryptopia is investigating a number of solutions alongside the ETN team but we have yet to confirm which solution is the right one. None of the proposed solutions are a ‘quick fix’ and all require substantial work from our teams to resolve. We would like to remind miners that we do not support mining to our deposit address – this has amplified the problem by creating a high number of transactions of small value, causing further strain on the wallet. Please do not point mining pools at the deposit address. 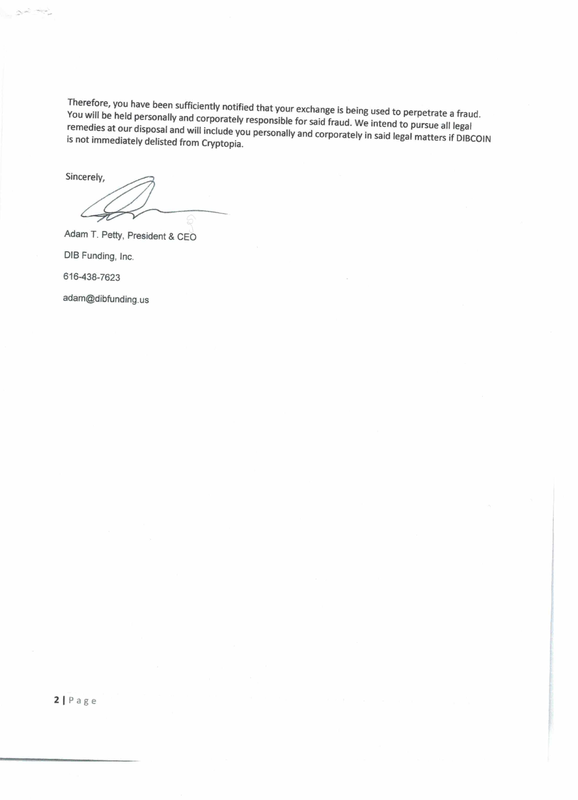 Our team is very focused on working collaboratively with ETN to resolve this issue. We request that ETN users don’t create additional support tickets and social enquiries for the Cryptopia team as this will only add to resolution times! Please also refrain from depositing to our address until further notice. We will update you further as soon as we have more news. We've been receiving a number of tickets inquiring why the balance for your old PAC coins has been divided by 1000 when receiving the new $PAC. As announced on our twitter feed, this was a part of the official swap and is not an error. Please visit the $PAC team's official twitter announcement about this here: twitter.com/Paccoinofficial. We are implementing a number of infrastructure changes throughout the next fortnight and once this work is complete, we will investigate the scope required to switch these two markets back on. We will post a further update as soon as we have some more concrete news in this space. Please note that we have scheduled an outage today at 2:00AM UTC for approximately one hour. This is to roll out some support improvements. We will announce as soon as we are back online. After the ZCL Hard Fork occurred there was a dramatic reduction in the number of miners on the network which means that transactions end up taking significantly longer to confirm. This, combined with an increased rate of deposits into Cryptopia, has resulted in deposits taking longer than expected to appear on the Exchange. The backlog is currently being processed and we expect to see this return to normal by close of business today. The deposits are being processed in chronological order to ensure the first deposits made will be the first to appear on the Exchange. We are aware that the ZCL fork is happening at 5PM UTC on February 28th. Should we end up having outstanding withdrawals at that time we will credit BTCP to user accounts for any ZCL withdrawals confirmed at least 8 hours ahead of the fork (9AM UTC Wednesday 28 February 2018). We are endeavouring to process all withdrawals before 5PM UTC, but our guarantee only applies to those confirmed by 9AM UTC. Last minute traders who are expecting to get the airdrop are doing so at their own risk. Please note that this only applies to ZCL and not to BTC. We are aware that there is a number of LUX, BWK, DIME and XVG deposits that are not being processed successfully. Due to this, we have put these wallets in maintenance until this issue is resolved. We currently have a fix being deployed and estimate it will be resolved by COB tomorrow. When the wallets are removed from maintenance, all pending deposits will go through normally and these funds will appear in your accounts. Please note, this is not an issue with the wallets themselves, and is currently beyond the control of the coin developers. We are making progress with our deposit and withdrawal issues. We have made a number of changes to the way we are processing deposits which has significantly improved performance. These changes are being tested initially on a few selected coins before going into widespread use, however these changes have already solved most of the deposit delays we were experiencing. We are now working on similar improvements for withdrawals. These will take a bit longer than deposits but we expect to have them operational within 2 weeks. We have some temporary processing in place to accelerate the withdrawal processing for the coins that are affecting users the most. In particular this processing has caught us up with the backlog of ZCL withdrawals (barring a handful we will have sorted in the next day) and has allowed us to take ZCL our of maintenance and promptly process any withdrawals that are made before the forthcoming air drop. This also means that there should be no stuck ZCL balances by the date of the BTCP airdrop, and we will no longer need to participate in the airdrop as we mentioned in our post previously this week. Thank you for your continued support and understanding The Cryptopia Team. ZCL Withdrawals & Coin Fork We are aware of the continuing concerns of our users regarding ZCL withdrawal delays and the upcoming airdrop. We would like to reassure our users that we are processing ZCL withdrawals as the highest priority. We are in the process of dusting the wallet in an effort to speed up the withdrawal process. If withdrawals are not processing correctly within 24 hours of the airdrop, we will credit any accounts holding ZCL at the time of the snapshot with the appropriate amount of BTCP within a reasonable timeframe, assuming all external events go as planned. Please note, users holding BTC will NOT be included in this airdrop as BTC has not been affected by these issues. We currently have no plans to create trade pairs for BTCP on our exchange, however, if we do credit BTCP then holders will be able to be withdraw their coins to an external address. ETH Deposits Last week there was a temporary technical issue with our ETH deposit tracker. This caused a small number of deposits to show incorrect values. Because of this we put ETH into maintenance over the weekend while this was resolved. We can confirm that all problematic ETH deposits have now been corrected and all balances will show correctly. We are aware of issues with long processing times on deposits and withdrawals. This doesn't affect withdrawals of ETH, ETN, BTC, LTC or DOGE. We apologise for these and have been working hard on a resolution. As of early next week we expect deposit times to be back within normal ranges, while withdrawals may take longer to restore to normal operation. In the interim, please be aware that processing times on deposits or withdrawals may exceed 30 hours, although in most cases are likely to be less than this. Please don't submit support tickets relating to processing delays as we are unable to expedite these manually - our focus is on quickly resolving the issue for everyone. Thank you for your continued support and understanding The Cryptopia Team. We're happy to announce the listing of AC3 (AC3) and Ignition Coin (IC)! We are aware of the concerns of our users about ZCL and the upcoming fork. The coin has been in and out maintenance for a while now, but there have been connections as of 15/2 and the backlog of withdrawals are being processed. We will continue to monitor the status of the processing withdrawals, and will give an update when the wallet is working correctly. We will not be supporting the ZCL/BTCP fork, but we assure you we will have all withdrawals working well before the 24th February so you can participate in the fork. We will update on the NZDT deposits, LTC and DOGE markets as soon as we have some news. NZDT withdrawals are still open and will be until the 31st of March at this stage. #1. Phishing Websites Phishing is a common technique for acquiring a user’s personal or account data. Scammers set up fake websites that resemble reputable business sites in order to get you to enter your account or personal information. The site may look very legitimate (and often look almost identical to official websites) but they will always have a slightly different domain name/URL. Before entering any of your personal details into the website, ensure you've reviewed the below: What should I look out for? a. Every time you log into your account, we recommend checking that you're visiting the correct URL, https://www.cryptopia.co.nz/. PLEASE NOTE: Be aware of URLs that end in .com, .ws, .cx b. Check the Site Certificate is for “Cryptopia Limited [NZ]” c. When typing Cryptopia into a Search Engine like Google or any link sent to you from an external source or website, please check the URL is legitimate. d. When clicking on Google Ads, ensure that you check the URL is legitimate as phishing sites have been known to place fake advertisements. e. When clicking on any email that looks like it has been legitimately sent from Cryptopia, check the SEND address. Scammers often send emails with links that look real but actually redirect you to a fake site. See point #5 below for further information on Spoof Emails. #2. Fake Applications (Apps) on Google Play and Apple Store Currently Cryptopia does not have a mobile app. Never download any app from any app store. WARNING: some apps seem extremely convincing and professional but please do not download or input any personal information into a third party application. #3. Fake support numbers Some sites have been known to list a 'support' number for Cryptopia. These numbers are not legitimate support numbers as we do not currently offer support via phone. Scammers regularly set up these numbers and when users phone, they are hoping to obtain your personal account details, so they can access your account. What should I look out for? •	Never phone any number that claims to offer Cryptopia support •	Never disclose any of your personal information to a support person over the phone who claims to be a member of the Cryptopia support team #4. Phone call from 'Cryptopia' Be aware that no Cryptopia support staff will ever contact you via the phone. If you receive a call from someone claiming to work for Cryptopia support, we recommend you hang up straight away and block the caller from your device. What should I look out for? •	Never give your personal details to anyone (especially if they have phoned you and claim to be from Cryptopia support) •	Cryptopia support will only ever send emails from addresses ending with @cryptopia.co.nz (watch out for sneaky typos like cryptopja.co.nz) •	Cryptopia support will never ask for your password or your two factor authentication code •	Cryptopia will never request that you grant us remote access to your computer #5. Text/SMS from 'Cryptopia' Be aware that Cryptopia will never contact you via text/SMS. Never click on any link sent to you via text claiming to be from Cryptopia. Block sender/contact and do not reply. #6. Spoof emails Please be aware that we have had reports of fake emails being sent out to users. PLEASE NOTE the following: •	Cryptopia will never ask for a payment that does not go through Paytopia •	Cryptopia will never ask you to send payment to a specific address •	Cryptopia staff will never ask you for your password or two factor authentication details If you believe you may have entered your login details to an insecure source, please change your password and Two Factor Authentication. If you find a website, app, phone number, or user claiming to be Cryptopia or Cryptopia Support and you are concerned, please report it to us by email, Facebook or Twitter. CRAVE is currently delisting in preparation for a coin swap. Cryptopia is not participating in the swap itself, however we will be re-listing the new CRAVE once the swap has been completed. Withdrawals will be closed for CRAVE on the 25th of February, please withdraw your CRAVE before this date. Please visit their forums at https://bitcointalk.org/index.php?topic=2547950.msg25967199#msg25967199 to find out what you will need to do to get your CRAVE swapped. Pascal Coin (PASC) has been in a status of delisting for some time. This is because of an above average support load being created due to bad transactions from another service provider which we then had to recover. We did reach out to the other provider at the time but were unable to come to a satisfactory solution for both parties, unfortunately this means that Cryptopia will no longer be supporting Pascal. We realize that adequate notice was not provided to our users so we have extended the delist date to the 1st March 2018. Please close all open orders and withdraw your PASC before this date. Due to recent issues that have resulted in SmartCash performing a chain rollback, Cryptopia has suspended trading for this currency and will be closing the SmartCash markets. For all those users who have a balance of SmartCash, we advise you to withdraw your funds the latest SmartCash wallet The correct version of the wallet can be found at: https://github.com/SmartCash/smartcash/releases/tag/v1.1.0 We apologise for any inconvenience this may cause and thank you for your patience at this time. I understand that while this may not be the update many people want to hear, it at least will hopefully provide everyone with a clear understanding of the path forward. Cryptopia will be standing up new sister sites such as ltc.cryptopia.co.nz to handle base markets dedicated to LTC on their own trade engine and database to allow them to continue to trade, and allowing cryptopia.co.nz to resume registrations. You will still need to transfer funds between the different sites to trade on each of them but this will be able to be handled instantly by Cryptopia in the background with atomic swaps, so you'll still have the single Cryptopia account that you use on the different exchanges. As such, we will be permanently closing the LTC basemarkets on cryptopia.co.nz Users will have a month to cancel their open orders after which point the markets will be closed and your orders will be cancelled for you. Further updates on the timeline for the new LTC exchange will be posted as they become available. My name is Rob Dawson, or probably better known as "Hex", and I am one of the two Co-Founders of Cryptopia. Adam ("sa_ddam213") and I started Cryptopia as a hobby, largely due to our own negative experiences with other exchanges and a desire to build the website that we ourselves wanted to use. 6 months into development we founded and incorporated Cryptopia as a company, and after 12 months of development the site went live into production for the first time in December 2014. For the first 2 years the company consisted soley of Adam and myself, working our regular full times jobs and dedicating our spare time and income to Cryptopia, and while we were proud of our growth and what we were achieving it was not even a drop compared to what we've experienced in the last 6 months, let lone the last week. Roughly this time last year Adam and I being well into having quit our jobs to work on Cryptopia full time and running low on savings and resources had a very real conversation about whether or not we should shut Cryptopia down, we had a modest 30,000 users, with an average of 2,000 concurrent user sessions at any given time, and averaged about 300 BTC in trade volume a day; we were proud of what we had achieved, but at the time it simply wasn't sustainable with our dwindling resources. Obviously we didn't shut down Cryptopia in January 2017, thanks to an investment we were able to keep pushing through. By the 1st of December we hit 500,000 users. On the 31st of December we hit 1,000,000 users. By the 3rd of January we hit 1,100,000 users. By the 4th of January even with registrations disabled for 3 hours, we hit 1,200,000 users. With registrations paused again we're now sitting at 1,400,000 users. We've gone from just 2 people to over 50 people including contractors and consultants and we're looking to at the very least double that as soon as we can, but that also brings with it its own set of hurdles. I mention all of this only to give context as I would like to acknowledge the complaints and concerns about our level of service. We are aware that our level of service has been suffering, but that is not due to any complacency on our part, rest assured that we are hiring people, and developing the processes to manage those people to grow with the demand we're facing and scale as best as we can. Please bear with us, as we know how frustrating it can be for users involved in issues impacting their ability to transact freely, but we're in an unprecedented time with adoption and interest in cryptocurrencies and blockchain surging and Cryptopia is dedicated to being a quality service provider in this evolving landscape. Thank you for supporting Cryptopia and being a part of our community. Due to an influx of tickets of this nature having a significant impact on our support capacity as we continue to grow and scale to meet demand, Cryptopia is now implementing a 10% recovery fee on support tickets involving recovery of deposits made to Cryptopia where a required PaymentId/Message/etc are not correctly included in the transaction. SCORE delisting due to coinswap. Scorecoin is delisting due to a coinswap. For more details see: http://scorecoin.net/swapengine.html Please close any open orders and withdraw all your SCORE by the 26th of January. 2 days ago OMNI updated their codebase, this is a mandatory release so all OMNI wallets needed to be placed in maintenance while it was updated and resynced. SAFEX is an OMNI asset (along with others) so is affected by this mandatory update. This is external to Cryptopia, and like any exchange Cryptopia must update the wallets. On an exchange with many thousands of transactions in our wallets this takes time. Since then the SAFEX community have launched an attack on Cryptopia with a very large number of support tickets and posts on various forums abusing Cryptopia and stating that we have placed the coin in maintenance just to manipulate the price and profit from it. We froze the markets in an attempt to allay these concerns, however this just resulted in the SAFEX community doubling down on their accusations and threats and flooding our support and forums with further abuse. We take a stern view of this type of behaviour from communities and as a result of this, along with other issues with SAFEX, in particular the fees and costs associated with this token, and continuous complaints in general, SAFEX has been put in our delisting queue. While this is still subject to a final review, it is likely that SAFEX will remain in delisting and will be removed from the exchange. Once SAFEX has fully synced (at block 394077) as of this post, the wallet will be re-enabled and you will be able to withdraw. Cryptopia will ensure all users are able to withdraw all your SAFEX tokens prior to the delisting being finalised. We apologise for any inconvenience but we have a strict policy against abuse towards staff. This is a good reminder to treat exchange support staff nicely - a torrent of abuse is never welcomed, and we do not expect our staff to put up with this type of behaviour from a large part of a coin community. While we understand that often there are only a small number of bad seeds in a community that are abusive, in this case the abuse came thick and fast from many. We also apologise to those that were not involved in the abuse and have treated us respectfully through this process - it is due to you that there will be a final review prior to delisting, however due to other issues with this token as mentioned above this may not change the result. **EDIT: These issues are now resolved** We are aware of issues with LTC and DOGE withdrawals and deposits. This is due to a HDD failure on the server hosting those wallets. Our team are currently working to migrate these wallets to a new server and it is expected that normal service will resume shortly. Last week the B3 Development Team released an update (v3.0.0.2) where one of the changes contained within forcibly burned the coins held at address SSYpeH33oR9MqnFufvET9Zv9968aDv9k6r. This was done by the Developers to remedy an issue with B3, where more than 50% of the coins were held by a single entity in a single address; to justify this action the Devs made various claims that did not stand up to 3rd party investigation/verification. The result of an entity holding more than half of the total coin in supply when combined with a Proof of Stake consensus mechanism is extremely problematic to the protections of trust a blockchain provides; on one hand the consensus is always right, on the other the consensus is a single entity. The issues caused by a single address staking over 50% of the coins is this is only remedied by the owning entity of the coins agreeing to sell or burn part of their coins so that they have less than 50% (ideally, less than a 35%) of the total coins in supply. Cryptopia has reviewed the information put forth by the B3 developers and has not been able to verify any malice from the entity controlling the SSY address. Points to understand in the likely storm of finger pointing within this community in the future: The owner of SSY has no reason to “hack or manipulate” the blockchain if they are already the majority owner, as they by far have the most to lose. Blockchain at it’s core needs to be decentralized to function; the B3 community is wholly responsible for the fact that any single entity became the consensus. The Devs having understood why Cryptopia won’t take action (due to the entire point of why blockchain/cryptocurrencies exist in the first place) have released 3.0.0.4 which will unburn these coins on the consensus chain. Cryptopia believes this is the first step to a community negotiation between the Devs and the SSY address owner to resolve this dispute in a civil manner. If any situation is true, Cryptopia would like to suggest that its one where neither the B3 Devs or the owner of the SSY address understood the ramifications nor technicalities of the situation they had arrived at. Due to the conduct of the B3 Development team while this situation was discussed and resolved, Cryptopia is exercising our right to delist B3. Please withdraw your coins before the 5th of January 2018. I apologize to anyone that reads this via google translate. Due to the lack of a block explorer and ongoing wallet issues, TRBO will be delisted on 28/12/2017. Because the wallet won't sync, users will be unable to withdraw their coins unless this issue is resolved. Due to the extended maintenance period of NSR, we have extended the delist date to the 23rd of November, 2017. Please withdraw your NSR to a personal wallet or another exchange at your earliest convenience before this date. Cryptopia is very opposed to supporting new coins which fork from BTC as they are inherently a giant undertaking for an exchange to do. The risk involved in forking BTC is not minor, and having to move all BTC in cold storage is even less minor; Cryptopia is gravely concerned that BCH has set a dangerous precedent for new coins being created and airdropped in this manner. BitcoinGold doesn't have the Developers, Community or verified information on how the fork will be conducted that assisted BitCoinCash in being split and adopted by exchanges. Cryptopia does not currently intend to perform the split, however we reserve the right to change our position should more information come to light. PIE coin is undergoing a swap and is being delisted per a request from the PIE/PIEX team. You can swap your PIE on their official Discord here: https://discord.gg/ZJkc37W ask one of the moderators or message dwhntx to swap. Cryptopia is proud to list the CryptopiaFeesShare (CEFS) token on our exchange and market place - the market is live now. As a champion of blockchain adoption, Cryptopia has upgraded its shareholder dividend method from the traditional mechanisms of paying a fixed amount of dollars in profit to each shareholder. Cryptopia will take 4.5% of its gross fees collected each month for each of the base markets and distribute that portion of the fees among all CEFS holders as at the end of that month. CEFS were created and allocated to our shareholders based on the shares that they owned; 6300 CEFS tokens exist currently and CEFS tokens will not be reissued. Cryptopia has chosen to do this for several reasons: - So that Cryptopia can modernize its shareholder and equity mechanisms. - So that CEFS can be a living use case for a blockchain application in a corporate world. - So that our users can invest or divest in Cryptopia as they wish in an automated manner. Happy trading. A reminder that the SIGT markets on Cryptopia are closed, because the coin is delisting (see our earlier News statement for details of this). Please do not make any SIGT deposits to you Cryptopia address, and any sent after the 23rd of September will not be processed. We encourage all users to withdraw their SIGT balances from Cryptopia before the 19th of October. 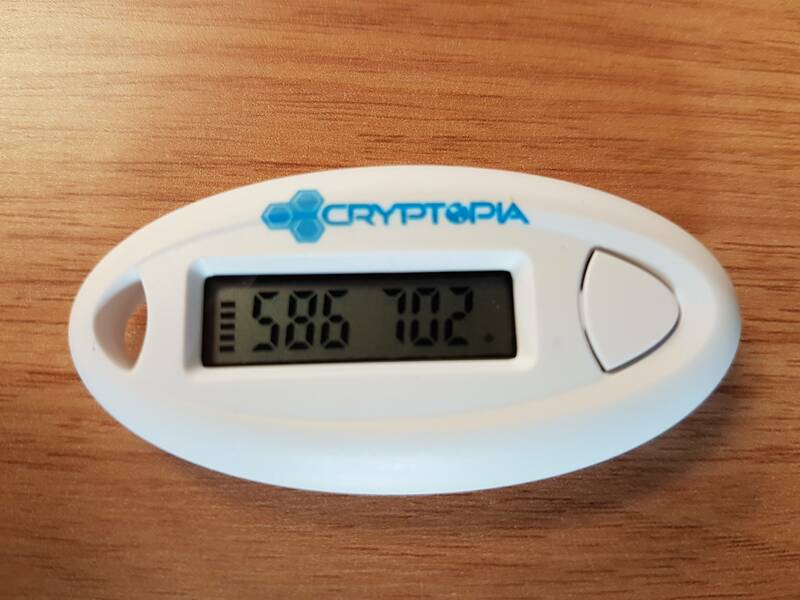 For a long time Cryptopia has had the best support in the industry with the fastest response and resolution times. However, we realise that over the last month or two we have slipped behind the high standards we hold for ourselves. We'd like to acknowledge some of the concerns we're hearing from customers around our support response and resolution times and explain some of the reasons for this, what we are doing about it, apologise for any inconvenience caused, and thank everyone for bearing with us in this transitionary stage in our company's growth. Cryptopia has had explosive growth this year, we've gone from 2 full time employees managing 200 coins on 15 servers with 3,000 users and 200 concurrent sessions, to 12 full time employees and a number of contractors managing 550 coins on 50 servers with 250,000 users and 30,000 concurrent sessions. This growth shows no signs of slowing down. To cope with this, we have been very busy behind the scenes scaling the business. Our fully proprietary software is now extremely scalable and capable of continued exponential growth without breaking a sweat. Our support team has seen the largest staff growth, with over half our staff members dedicated to customer support. We are hiring more quality people as fast as we can find them, however throwing more people at tickets doesn't help without them being able to effectively contribute by also improving our support systems, procedures, and policies. So we've made some significant changes to our internal support systems and these are now having a great effect on our ability to power through tickets and help our users get the answer. We expect to be back up to our regular response and resolution times (including 90% of tickets resolved within 24 hours) within the next week or two. In the meantime, please have patience and refrain from opening multiple tickets for the same issue, and do check our forums for assistance with trading and other things you'd like to know that really don't need technical support to help. There is a wealth of information in there from both our staff and our expert users. That said, we're by no means finished. We've got a number of further improvements and updates on the way to the support system, we will continue to strive to have the best support in the industry. We also have a wealth of exciting new site features and updates on the way, watch this space! A friendly reminder to take care and use caution with any links given by other users in PM's, websites, or search engines. Cryptopia administrators provide trusted information via support tickets, automated emails relating to account activity, and replies to email contacts. Our official chat admins are indicated with a Shield icon. We will never ask for your credentials, and they should never be used anywhere except on our securely signed site with a certificate from Cryptopia Ltd [NZ] and the exact URL: https://www.cryptopia.co.nz/ Please type in this address, or use a bookmark to it, before entering any credentials. As the vast majority of Signatum customers will be aware, there have been recent issues with this coin, which has led to us putting it in the delisting queue. Signatum is currently scheduled to be delisted on 20 Oct 2017. Read on for the reasons why this has been deemed our best course of action at this time. The combination of us having 18,000 addresses and users mining directly to our addresses caused there to be over a million small inputs. This caused the wallet to irreparably break while syncing. We attempted to resolve this many times, using different distros and hardware configurations, however this did not work. If we synced the blockchain first, then imported the keys, it would start importing 5-10 keys / second, however this rate drops to about 1 key every 3-4 seconds after ~15k. After a week of importing keys on several instances the wallets corrupted and crashed every time. We also tried importing the keys first then syncing the blockchain, in this case it synced back to around 19th August and then also crashed and corrupted. We have determined this to be likely due to the leveldb library used within the coin which is extremely out of date. It is the same library used in many other coins, however most use a much more up to date version. This is why the Signatum wallet had been in maintenance for around the last month, while we have been constantly attempting to work with it. During this time, we had a Signatum team member visit our office in person and found no issues with our implementation of Signatum, and observe the sync issues. We have also been in constant communication with a Signatum team member informing of what was happening throughout and were told by him that he was informing the rest of their team. 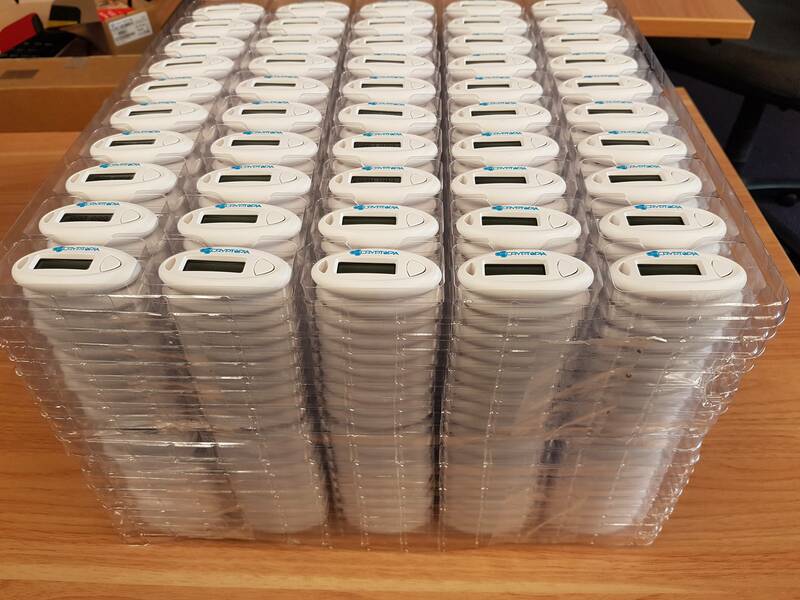 To finally resolve this, we have managed to set up 8 separate wallets and imported 1/8 of the overall keys into each of these. We then had to move transactions around to consolidate the tiny inputs. This is a terribly painful process and not scalable. FYI we are currently having to move coins from the 8 wallets to 1 consolidated wallet to process withdrawals. Once this process is complete, we will then scan the 8 wallets for any missing deposits, so anyone that has made deposits while it has been in maintenance will have to wait until this before their deposits show up so they can withdraw again. (edited) The reason we are now closing the markets is that the Signatum community and now the core Signatum team have blamed us for this issue and are threatening us with litigation, when the issue is purely with the Signatum wallet and out of date codebase. The dev does not seem able or willing to fix the issues with their code. We have put in a very significant amount of time trying to get this up and running so our users can use their coins. However, it is not our responsibility to work with the Signatum codebase (or any other coin) to fix their problems any further, we've already gone well beyond what we should be doing to resolve this. Some users have been comparing us to other exchanges and asking why they don't have a similar problem. We have a significantly higher number of transactions than the other exchanges that currently list this coin. They will run into similar issues when they reach a more significant level of transactions. The problem with Signatum codebase is provable and replicable. They need to fix this or this will happen again wherever Signatum ends up. Signatum now appears to also be threatening Cryptopia with legal action (via twitter) and accusing Cryptopia of not knowing how to use wallets. We run and maintain literally many hundreds of wallets. Signatum built just 1 wallet by copying very old code from elsewhere and don't seem able or willing to update it to something that actually works at scale. One of the 10G switches in our data centre that connects many of our servers to each other will be getting replaced today at 7:00am UTC. From 6:55am UTC the site will be unavailable for up to 45 minutes. UPDATE: Our data centre advised they weren't ready to proceed at 7am, so we have postponed the outage by an hour to 8:00am UTC. Your credentials are safe on Cryptopia. XMG is being delisted due to ongoing wallet issues. Please cancel any orders and withdraw your coins from Cryptopia asap. The final date for withdrawals is 30 September. 15th August - Delist notice - Ongoing wallet issues, no working block explorer's. Please cancel all open orders and withdraw your balances by the 14th September. 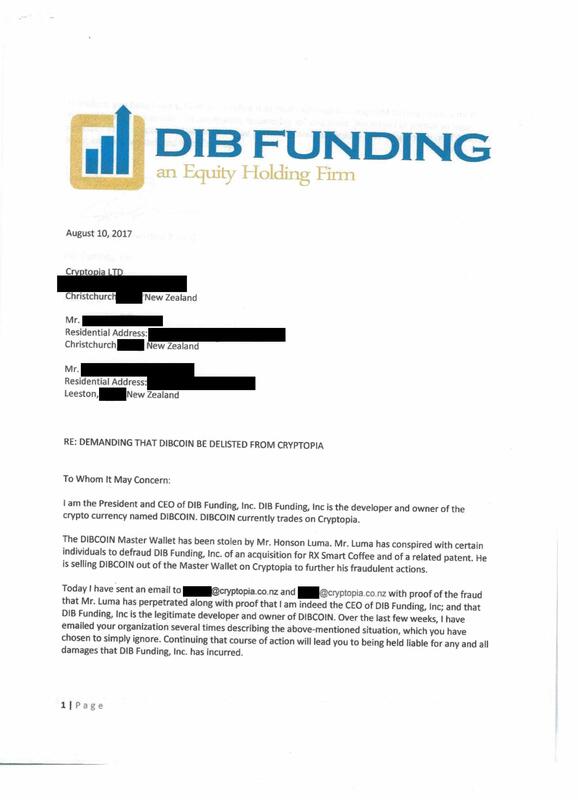 Due to threat of legal action DIBC is being delisted from Cryptopia at the DIBC CEO's request. Any and all support requests, questions, complaints, coin recovery requests, or any other requests or inquiries should be directed to the DIBC CEO. http://i.imgur.com/zEEsTJZ.jpg http://i.imgur.com/zEEsTJZ.jpg DIBC will not be relisted on Cryptopia in any form. It is Cryptopia's opinion that DIBC's dispute is solely with their developer, and that the responsibility for their inability to secure their own private keys lies solely on them. ETB will be delisted from Cryptopia on 08/07/17. Despite our best efforts to help the ETB team to get all users upgraded to the new contract, this has still not happened and due to this confusion and support load we regrettably are now forced to delist. Cryptopia has now credited users BCH at 1:1 of their BTC balance at the time of our database snapshot. This will show in your Deposits as a single credit with the TxId being the BlockHash of the block where the chains split (0000000000000000011865af4122fe3b144e2cbeea86142e8ff2fb4107352d43) Please be aware that the BTC and BCH wallets will remain in maintenance until the fork has settled, this incase of any reorganizations and fluctuation in difficulty that could risk the safely of your coins We are monitoring the forks closely and we will activate either wallet for Deposits and Withdrawals only when we are 100% confident that your funds are safe from any problems resulting from this chain split. We do apologize for the inconveniences caused by this event and we hope all BTC and BCH networks resolve themselves during the net 24 hours. In response to demand from our users Cryptopia’s development team have worked diligently through the weekend to design and create a process to automate the split between BTC and Bitcoin Cash Coin (BCH) safely for ourselves and our users. If a fork should occur on or after 1 August, Cryptopia will support the Bitcoin Cash Coin (BCH). While we consider BCH to be an alt-coin and we’re skeptical of the rushed implementation, we have determined a process to support BCH that we’re confident won’t have any impact on the security of our BTC balances and orders; The safety of your funds remains our number one priority. The process of splitting tokens creates risk for us and our users, however we are confident that the processes we have created will allow us to transition securely and gracefully at this time. Users with BTC in their Cryptopia accounts will be credited with an equal amount of BCH should the fork occur. BCH/BTC BCH/LTC BCH/DOGE markets will be available after the fork has occurred. As an extra security precaution, we will be disabling BTC deposits and withdrawals on 31 July 2017 at 23:00 hrs UTC to ensure that all BTC funds stored at Cryptopia remain safe and secure. Once we are sure the network is stable and safe, deposits and withdrawals will be resumed. Trading will remain unaffected throughout. Users will be unable to deposit or withdraw BCH for up to 48 hours after the fork while Cryptopia monitors the networks and is comfortable that our customer funds of BTC and BCH have been appropriately stored. We are monitoring developments closely so please monitor our Twitter feed, Facebook page and website for the latest news, updates and developments. FAME will be de-listed a minimum of 30 days from the date of this news post (21/07/2017) as it is undergoing a coin swap. Please ensure you withdraw all FAME from your Cryptopia account before this date. We know that FAME is moving to the WAVES platform, other than this we are unaware of any details. We will endeavor to update this post as we receive information from the FAME team. DOT is currently in maintenance due to another attempt at 51%. We are looking into how to best handle the old chain for the duration of the swap. https://bitcointalk.org/index.php?topic=2024783 The above bitcointalk thread and any like it are a scam. Please be wary of posts like this and only every accept information via verified official Cryptopia channels. The DOT WAVES asset is not yet available. Any DOT tokens on the DEX are fake. The official DOT WAVES asset Id will be announced when the new DOT WAVES asset is listed on Cryptopia as part of the swap process. Recently there has been a large uptick in coins being affected by 51% attacks, and unfortunately DOT joined this list earlier in the week. We managed to identify and respond to the attack sooner rather than later though the attacker did manage to make an impact on the market. This is the reason DOT has been in maintenance while we tried to determine the best response to the issue. Due to the amount of hash that can readily and easily be thrown around at small networks these days we had to ask ourselves if it still makes sense for DOT to run on its own network as it is clear to us that we cannot afford secure the network ourselves, and that the demand for DOT is not sufficient enough to attract the amount of distributed computing power required to sufficiently secure the network either. We've decided to perform a swap of the DOT blockchain to a WAVES asset, the use case of DOT is not based around mining or proof of work so we don't think anything is lost in moving DOT to a token platform. A final block height will be defined to allow for a swap period of approximately 90 days before the cut off of new blocks being included in the swap. The new token will be created and swapped 1:1 with the old chain with the new asset matching the coin count of the old chain up to the cutoff block height. Cryptopia will also keep a copy of the old blockchain so that old coins prior to the cutoff block height can continue to be swapped. Cryptopia will allow for a full year before the swap process is closed and swaps of coins on the old chain will no longer be accepted. Cutoff Block: 1,200,000 Total DOT at block 1,200,000: 522,500,000 DOT New DOT Asset Total: 522,500,000 DOT If you already have your DOT on Cryptopia then there's nothing further you need to do everything will be swapped automatically, this included all DOT currently in Term Deposits that will remain uninterrupted. If you do not currently have your DOT on Cryptopia and want the swap to happen automatically then you must deposit your DOT to Cryptopia before block 1,200,000. If you fail to swap your DOT before block 1,200,000 you will have to raise a support ticket to get your swap sorted. Cryptopia has covered the DOT that was lost in the 51% attack from their own DOT reserves, so all users will remain completely unaffected by the attack. The final date for swapping your DOT will be 2018-07-01. CNO is being delisted due to it undergoing a coin swap we were told that it was going to be a fork. per our standard process this means its a new coin and will need to be relisted by the CNO team. The UNO Basemarket is closing. MLNC is being delisted due to the MLNC team disbanding. Delisting will happen in 30 days so please withdraw your coins asap. 50% Discount with Code "Cryptopia_CAT"
Cryptopia has raised its withdraw fee for BTC from 0.0004 to 0.0008. This is due to to increase of fees on the network lately, Cryptopia does not keep any of the fees they all go to the network for processing transactions. IW is being delisted due to no known block explorer, and no network nodes. Withdraws will be able to be made if nodes become available on the network. Christchurch company Cryptopia​ has launched a new computer-based currency called NZed, similar to Bitcoin but pegged to the value of the New Zealand dollar. Cryptopia business development manager Adam Lyness​ said the idea arose from the Techweek blockchain​ conference. It adds to the many alternative currencies traded on Cryptopia's currency exchange. We've had reports of a couple of users attempting to sell Cryptopia Shares that they do not own. Please be careful when purchasing shares from other users. All transfers of shareholdings must be facilitated through Cryptopia as we are required to maintain the shareholdings on the New Zealand Companies Office website which is a New Zealand Government website: https://www.companiesoffice.govt.nz/companies/app/ui/pages/companies/5392901/shareholdings An FAQ about the Cryptopia Shares is available in the Forum. Each of the history tables in your account page can now be exported in various formats.